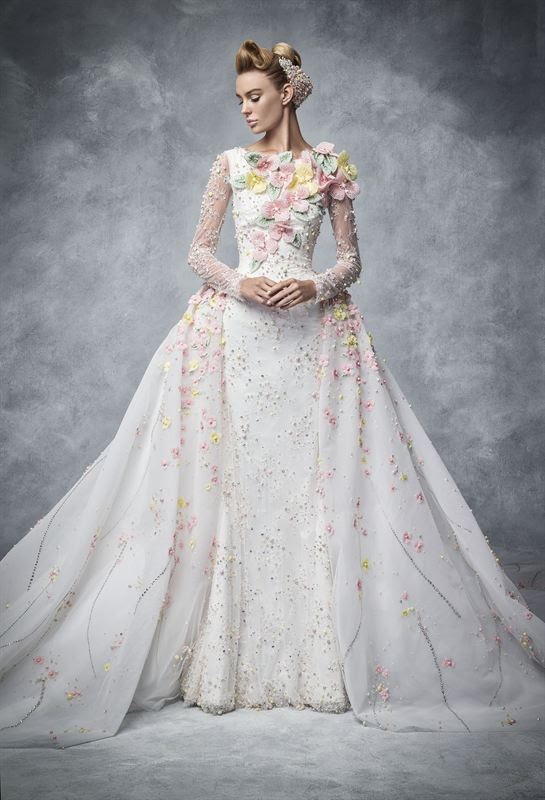 Sparkling Couture exhibition piece by Lebanese couturier Georges Hobeika is one of the stand-out pieces from the exhibition’s bridal collection. We love it because it has so much HIJABI POTENTIAL! Line those sleeves, and it’s the perfect gown for a Muslim Bride. Swarovski, the global leader in cut crystal and fashion jewellery, hosted the first ever Sparkling Couture exhibition celebrating the brand’s long-standing relationship with regional and international couture designers. The evening event, held at Madinat Arena from 8.30pm – 12 midnight on 4thNovember, showcased exquisite collections by 35 couturiers and six jewelry and accessory labels from across the Middle East and South Asia. Each designer presented one piece, created exclusively for the event, highlighting their innovative use of Swarovski crystals. VIP guests, press and brand partners experienced a vast exhibition of intricate couture creations along five themes: Bridal wear, Ethnic wear, Evening wear and Modest wear, as well as statement jewelry and accessory, all creatively adorned with Swarovski crystals. Of course, the Abaya Addict team, was most interested in checking out the Modest wear designs. 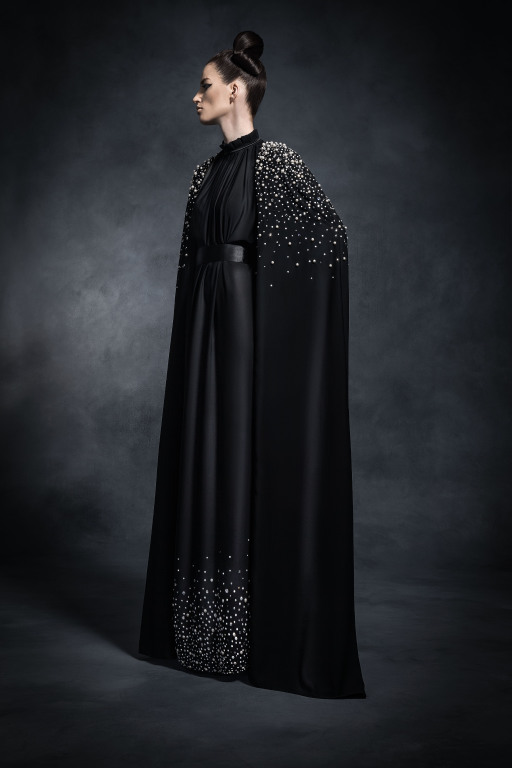 Afterall, when we think Swarovski, we think BLINGED OUT ABAYAS! So here are some of our favorite looks from the Modest wear category. 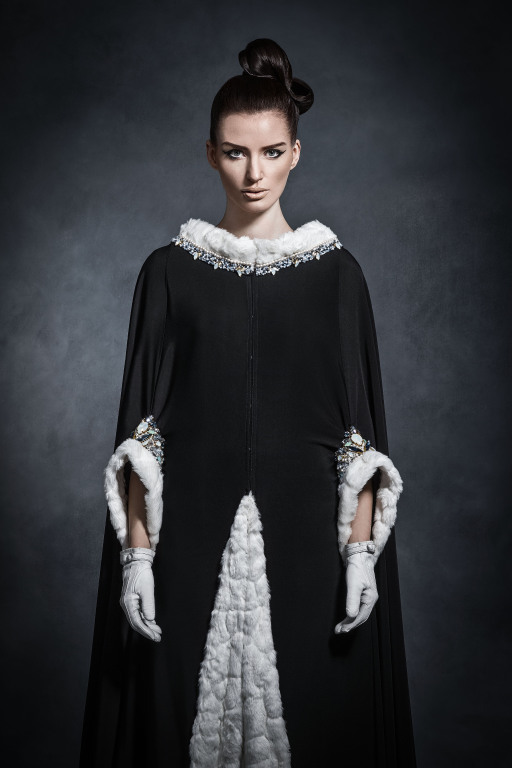 Designer- AlJooba gives us a romantic abaya made of lace and crystal. 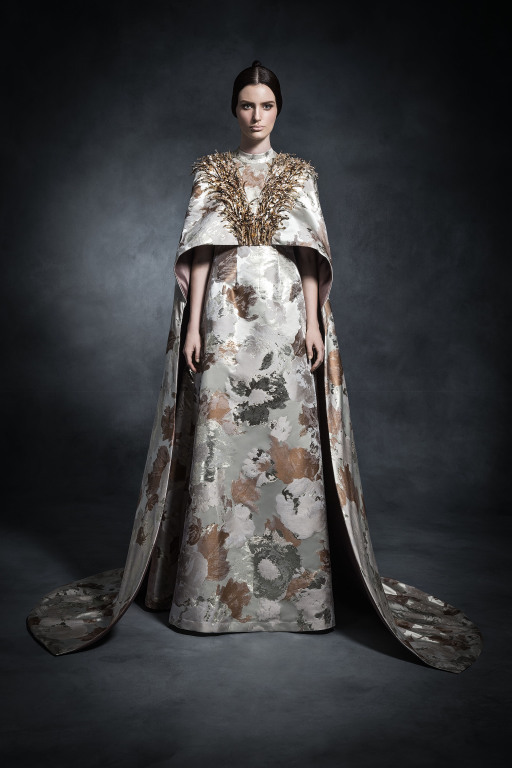 Designer Al Shal does not disappoint with a simple but dramatic piece. Designer- Bait Hanayen brings the drama with this dark and edgy design. 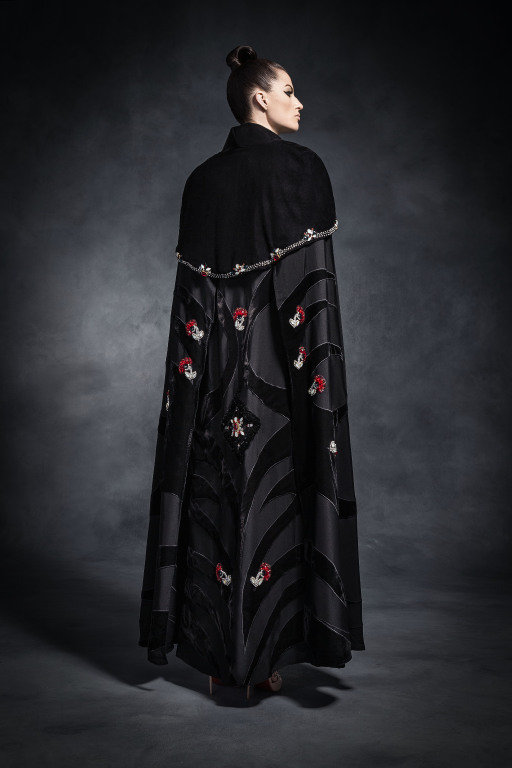 Designer- Bawal stuns with this elegant cape dress and beautiful placement of crystals. Designer- Bedoon Essm is always sure to please with extravagant and elegant designs. Designer- Hanayen’s beautiful gown is Abaya Addict’s top favorite! Designer- Kanzi showcases our favorite style of the season- the CAPE DRESS. We’re kisy wondering– were are the long sleeves? Designer- Shadow gets us ready for the cold with this winter-wonderland design. This is perfect as a Bridal cover-up in a winter wedding! Designer- Sharqiaa keeps the elegance in regional design with a traditional use of crystals.